ULTRAcel- A revolutionary technique to reverse your signs of aging. It is an exciting new treatment that works by targeting the same layer that Plastic Surgeons lift and tighten during a surgical face lift. ULTRAcel is the latest skin uplifting device that offers non-surgical skin tightening and lifting of the skin along with addressing of fine lines and wrinkles, leaving your skin glowing, smooth and spanking new. Doesn’t matter if you want to enhance or contour your facial features or you want to reverse your aging signs, ULTRAcel is the best option of skin tightening and enhancing. ULTRAcel for skin tightening have given clinically proven results. AK Clinics is providing this revolutionary skin tightening treatment at their clinics at Delhi, Bangalore and Ludhiana. If you don’t want to undergo multiple skin tightening treatments at different time intervals, then ULTRAcel- a 3 in 1 skin lifting treatment is the best for you. The cost of ULTRAcel skin tightening treatment at AK Clinics is very affordable and will give you the proven and long lasting results for sure. ULTRAcel treatment is the recent and advanced non-surgical & non-invasive process for the skin lifting & tightening. ULTRAcel will haul up, tighten and tone your wobbly skin. With the use of handheld devices that transfers the grid radio frequency and ultrasound waves to the skin. These devices not only targets the outer epidermal layer, but also the deeper facial and neck soft tissue structures which allow the more face lifting along with neck tightening. It redefines the RF skin tightening treatment or anti-aging treatment which rejuvenates your skin completely from inside out and it works on wrinkles, skin texture, nasolabial folds, chin, jaw line or even large pores. Grid RF uses radiofrequency energy that creates the thermal grid shapes on the epidermis & a uniform thermal zone in the upper dermis during the RF emission. This is the ideal for skin tightening & rejuvenation by applying the precisely controlled radio frequency waves directly to the skin with the help of minimally invasive micro-needles. The treatment is best for eliminating wrinkles, fine lines, pore minimization, acne & acne scars, stretch marks and pigmentation. The optimal radiofrequency that is delivered to the dermal layers are up to 60-80ºC. HIFU offers the non-invasive alternative to the surgical face lift while improving the fine lines, wrinkles, décolleté etc. It is the best skin treatment for face contouring also. HIFU uses the ultrasound waves to safely lift & tighten the skin. It penetrates deep into the dermal layers at high temperature and also protects the skin. During the procedure, thermal heat is created within the skin tissue that creates the tiny wounds and cellular friction. This promotes the healing mechanism of the skin and also enhances the collagen production, giving skin a tight and lifted effect. ULTRAcel is the advanced, non-invasive skin tightening treatment which requires no downtime. In ULTRAcel skin uplifting and tightening treatment, small and focused ultrasound waves penetrate through the epidermal layer to reduce the signs of aging through non-invasive lifting & tightening skin. ULTRAcel technology combines the 3 powerful & highly effective technologies in one process. With the use of radiofrequency with the ultrasound waves, ULTRAcel targets and transfers heat to the collagen in the deeper layers of skin. After this, stimulation of new collagen which helps to lift the skin resulting in firmer and tighter skin. Grid RF In the Upper dermis, radio frequency and high intensity focused ultrasound waves are emitted to 3.0/4.5 mm depth with fractional shape. It helps to stimulates the collagen production and smoothens the skin surface. RF Micro-needling: RF Micro-needling is an avant-garde skin repairing technique. In RF micro-needling, small insulated micro-needles create tiny wounds by penetrating into the dermal layer of skin. When it is combined with RF, it enables the thermal energy to stimulate body’s natural healing mechanism which enhances the collagen production. HIFU/FUS: HIFU targets the deep SMAS layer (Superficial muscular aponeurotic system) of face. In HIFU, the high intensity of ultrasound is emitted to the deep structural layers such as fascia, SMAS fat layer, dermis boundary layer of subcutaneous which causes thermal wounds, prompting the body to launch its natural healing process. Skin begin to produce more collagen, which lifts, tightens and contours the skin resulting in wrinkle free skin. Why ULTRAcel treatment for skin tightening? Uplifting procedure different from other skin tightening procedures? What is the difference between ULTRAcel & INTRAcel? ULTRAcel skin tightening process is done with the world’s hi-tech or advanced face lifting machine and it is the non-surgical face lift machine. ULTRAcel increases the density of collagen by producing more collagen peptides & elastin in the dermis. This technique is so far advanced from the only laser skin tightening. This ULTRAcel skin tightening treatment is the best for non-surgical neck tightening or non-surgical neck lift, chin lift without surgery, jaw line lift and non-surgical eyebrow lift. High power transducers in ULTRAcel helps to create a coagulation zone which is required of an ample size for desired in-depth. With its powerful frequency, it helps to create a coagulation zone over the temperature of 60ºC in the dermal layer. With the help of mimicking phantoms, cartridges of ULTRAcel machine is tested to ensure better & high-quality results. The handheld devices of this skin uplifting machine are designed vertically to provide a clear vision & easy handling during the treatment. How is ULTRAcel skin uplifting procedure different from other skin tightening procedures? Among the above-given procedures for skin tightening, GFR & FUS are performed in one session while FRM is performed in one single session. With dermal micro-needling technique along with fractional radio frequency, there is enhanced collagen & elastin production. You may feel heat or pricking sensation and skin will turn into red which will be normal within 2-3 days. With the help of thermal heat energy, there is simulation in the collagen production to tighten the skin. ULTRAcel is also known as HIFU or FUS and provides a structural lift to the skin. ULTRAcel is a non-invasive method which uses ultrasound and radiofrequency energy in synergy to work at the deeper layer of the skin (the SMAS layer). INTRAcel is also referred to as FRM. It works by resurfacing the skin’s surface and stimulates the collagen and elastin production. INTRAcel combines the Micro-needling with radiofrequency to target the heat energy below the surface of the skin. Is ULTRAcel A Safe Procedure? As the treatment involves the use of high-frequency waves, then you must take your treatment from an expert and highly trained doctor. Then there will be less to no chances of any complications. What Are The Side Effects Of ULTRAcel Skin Lifting Treatment? There are no serious side effects or complications. 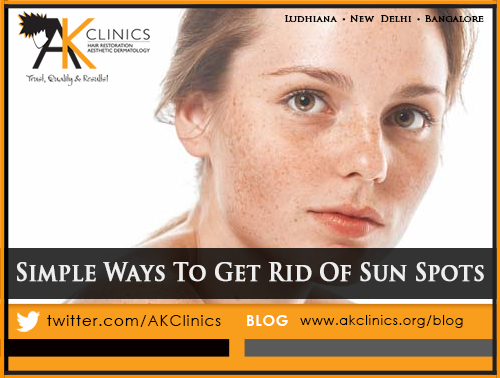 After the treatment, you may experience mild sun burnt sensation which will resolve itself within few days. Your skin may appear red for few hours. Swelling or bruising is minimal under the eyes which will resolve within 1-2 days. Most probably you will feel your skin tighter or smoother after one treatment and this will continue for the next 6 months. However, it may vary with your skin texture, treated area or frequency used during your treatment. No. The ULTRAcel is a non-invasive skin tightening treatment that treats the skin and the support layer below it, but it doesn’t entail cutting or disrupting the surface of the skin. You must have a relaxed skin with mild to moderate amount of skin laxity. Apart from this, a lowered brow line or sagging skin on the eyelids, drooping jaw line, acne, acne scars, pimples or blemishes, stretch marks etc. What Happens During The ULTRAcel Treatment? There is no to minimal downtime for ULTRAcel skin tightening procedure. What Are The Aftercare Instructions For ULTRAcel Treatment? After the treatment, you have to apply the sunscreen on your face for better healing. If you have a burning sensation, then you may apply aloe vera gel and cold compress on your face. However, after 24 hours, you can apply makeup too. How Many Sessions Will Be Needed For Skin Lifting? This is what that purely depends on your skin condition. The dermatologist will analyze your skin condition and area to be treated for skin uplifting. On the basis of that, the doctor will tell you about the number of sessions required. The ULTRAcel is not a “facelift.” It is actually an uplift. While it is not a replacement for surgery, it is a viable option for those not ready for undergoing a surgery. You can enhance or contour your facial features also. How Long Does The ULTRAcel Treatment Take? A full face-and-neck treatment takes approximately 30 mins -1 hour or depending upon the area to be treated. Will I Experience Severe Pain During The Treatment? Usually there is no need of anesthesia for the ULTRAcel treatment. But you if you are sensitive to pain, then you can ask the dermatologist for anesthesia application. A topical or injectable anesthesia can be applied prior to the treatment in that case.